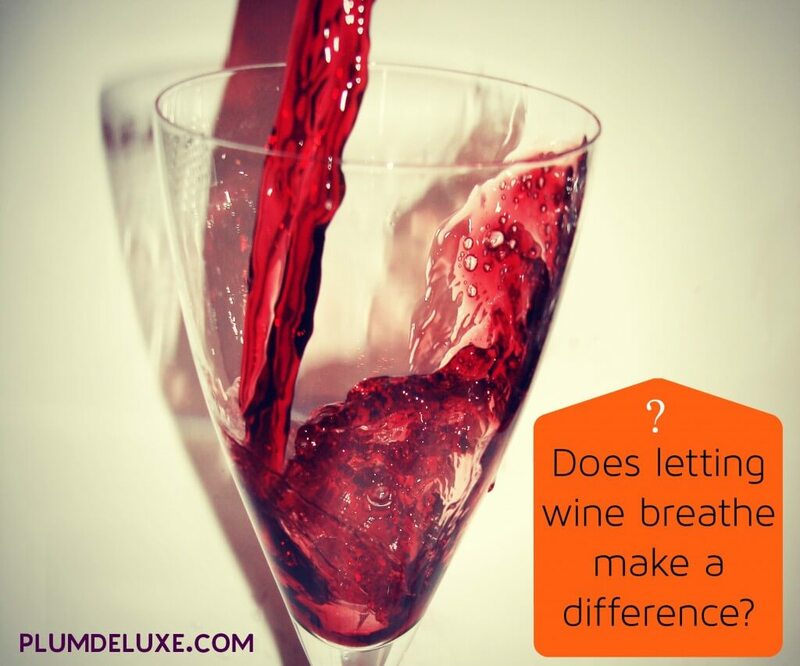 Does letting wine breathe make a difference? As some point in your wine imbibing experience, you’ve no doubt been introduced to the concept of letting wine breathe. It’s not such a foreign concept, considering that wine is produced from grapes, which are living things grown from the earth. But, in the rush to prepare for a dinner party or if you’re arriving home and need a glass of wine RIGHT NOW, is it worth giving those bottles some time to “breathe?” And if so, how long? Good questions, my friend. In my research on wine, almost everyone supports the idea of giving wine some air, from certified professionals to your run-of-the-mill wine enthusiast. There is some history behind the idea of letting wines breathe; long ago, winemakers discovered that adding sulphur (sulfites) helped slow the oxidation process of wine, allowing it to age more gracefully. Wine also has a small, tiny amount of naturally-produced sulfites. When additional sulfites were first added, winemaking was not such the science it is today — we used to have more sulfites in the wine, and perhaps it was useful to let some of that blow off before consuming the wine. Today, the quantity of sulfites is so minute that there’s no need for allowing the wine to breathe. 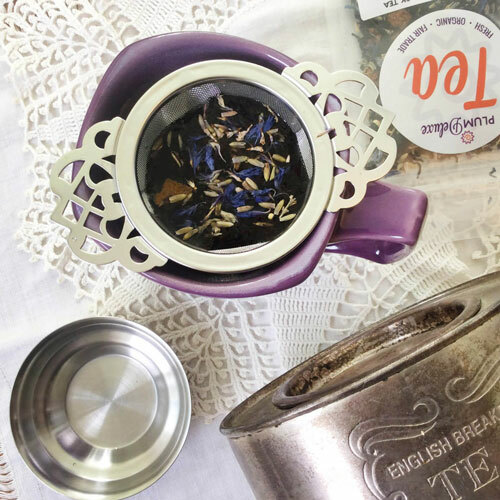 Oxidation: Get It Out of the Bottle! But what about the oxidation process — allowing a bit of oxygen to mix in with the wine that’s been all bottled up? We all know of a wine that tastes better after it’s been poured. Technically, there’s no science to back this up currently, but it’s important to know that if you really do want to aerate a wine, you need to get it out of the bottle — the slender shape of the bottle means little oxidation happens. That’s why decanters have a large bowl shape, giving lots of surface area of the wine for oxidation. 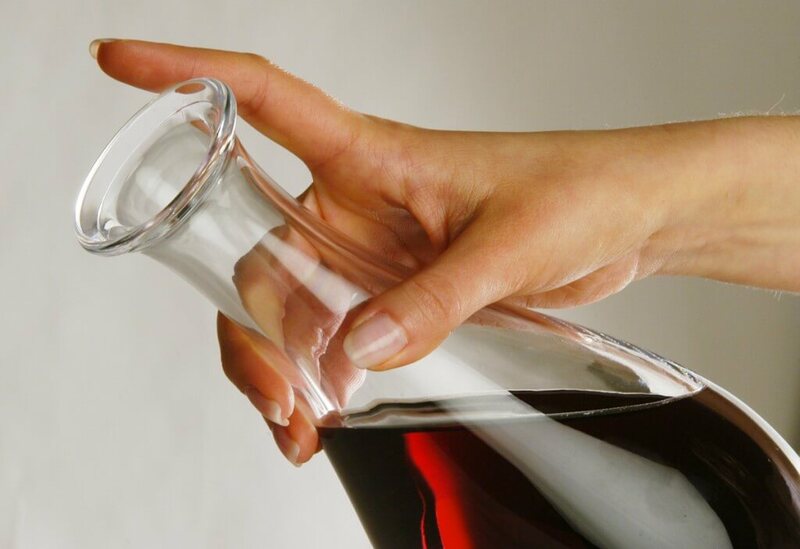 You can use any pitcher to decant wine, to be honest, as long as it is nice and round. 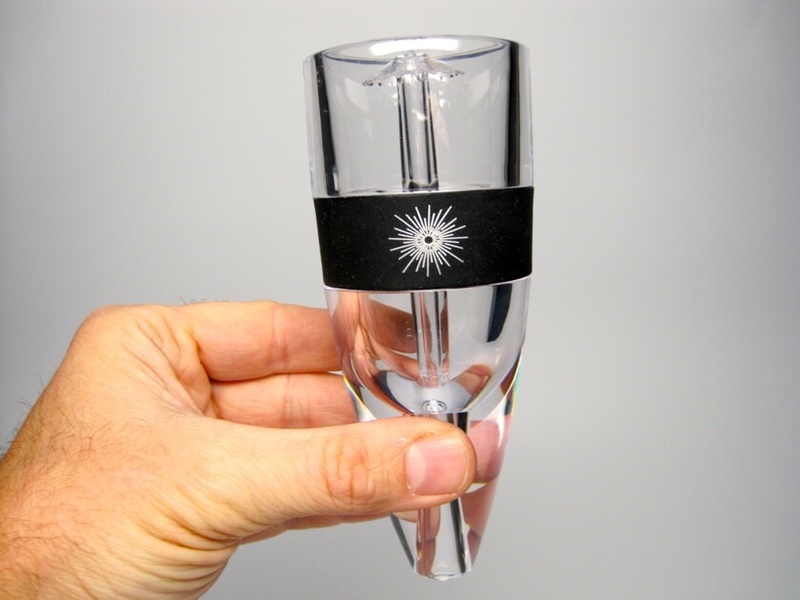 Over the past couple of months, I’ve been doing some blind taste tests on aerating wine using the VinLuxe Wine Aerator (useful for aerating a single glass of wine after work). Red wines: White and pink wines often just need a few minutes out of the refrigerator before they loosen up their flavors. Red wines are often the most accused of improving with breathing, so I stuck to red wines. First sips only: I only did first sips of each wine because I think we all know that after a few glasses of wine or after a meal, every wine is tasting pretty good. Only one wine each round of testing: In order to prevent palate overload, I only did one wine at at time, per meal/evening. My goal was to see if, not knowing which glass was aerated and which one wasn’t, the wine that was aerated tasted better. This is a totally unscientific test, but it was worth a try, no? 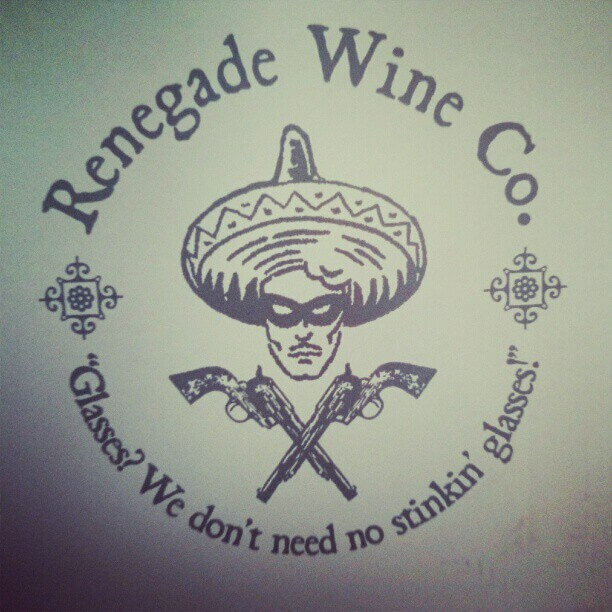 The results: My first test was a 2012 Renegade Wine Co. Red Wine. This is our “house wine” we like to enjoy regularly, and what I found interesting is that the aerated version was fruitier than the non-aerated. I did a second blind test using a favorite wine, Hip Chicks Drop Dead Red — it’s a Bordeaux blend that packs a flavor punch. The aerated wine was much smoother than the non-aerated wine. My last test run: a 2010 Frei Brothers Reserve Pinot Noir. Again, I found the aerated wine to be smoother and easier to sip than before aeration. In all my blind taste tests, the aerated wine tasted better. So, while science says no, my tastebuds say yes. Your mileage may vary, but next time you want to impress your partner or guests, try aerating that wine. 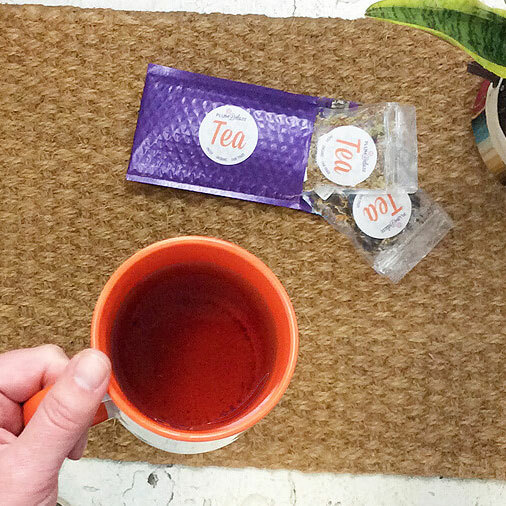 If nothing else, it’s a conversation starter.